ith the acquisition of Ironton Park, these multi-dimensional landscapes of wetlands, lake, streams, and historic sites are now protected. 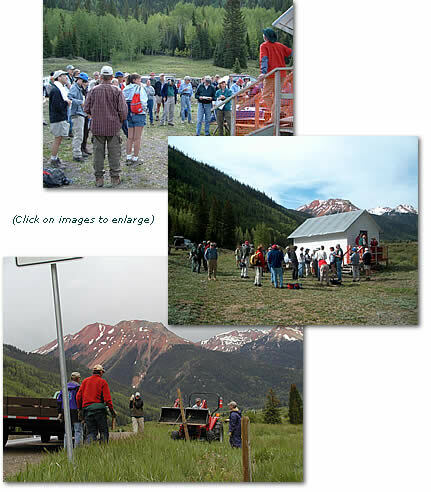 In June 2004, 55 volunteers teamed up with the Ouray Trails Group, Red Mt. Task Force and Uncompahgre Forest staff to remove numerous “For Sale” sign posts and fencing.